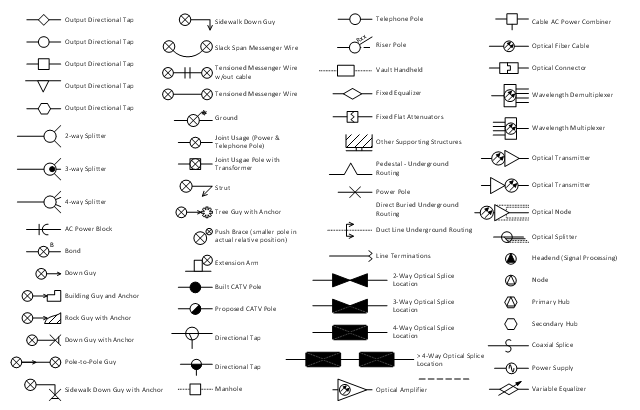 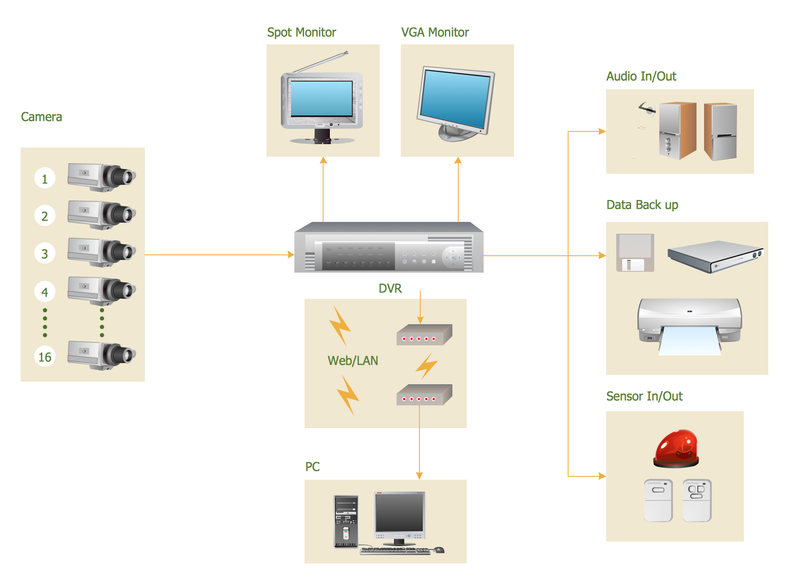 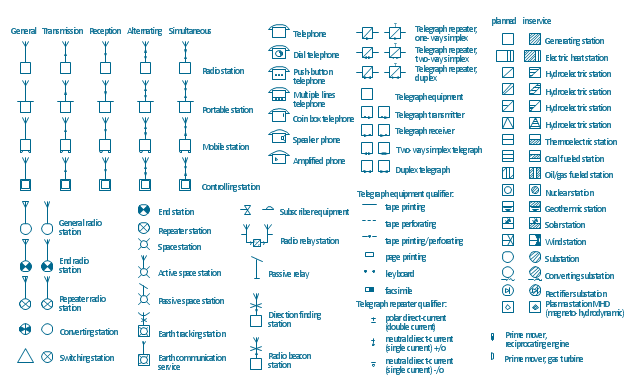 The design elements library "Cable TV" contains 64 symbols of CATV network equipment. 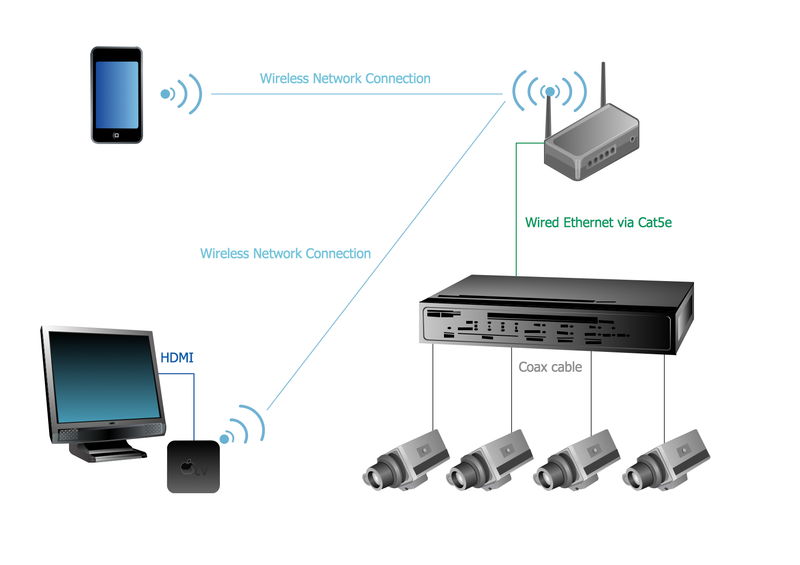 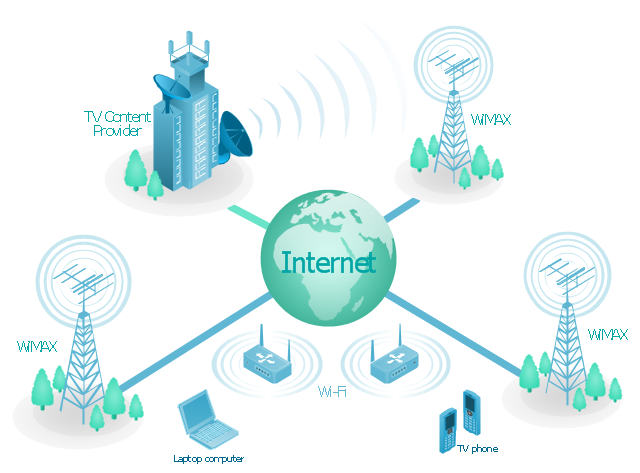 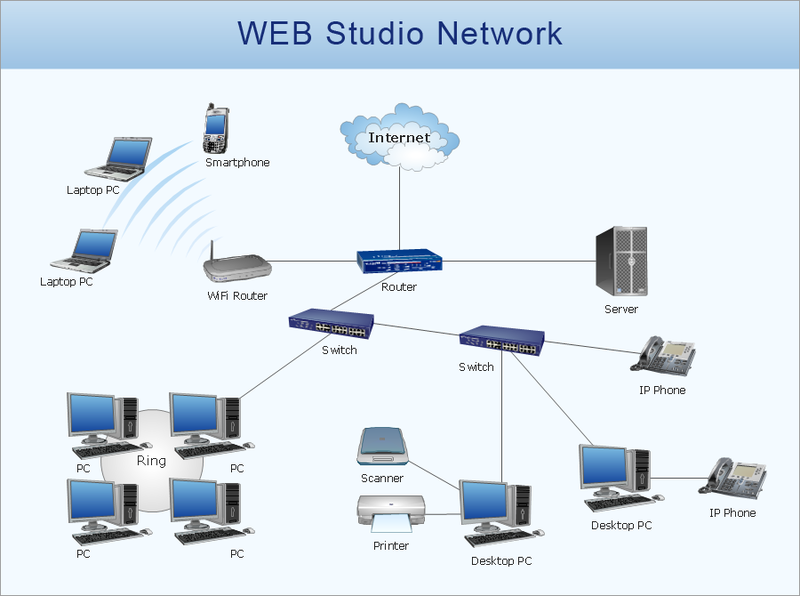 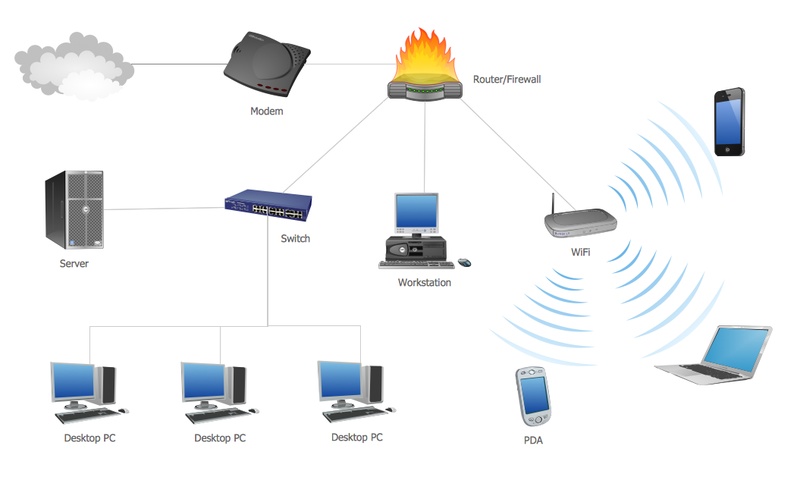 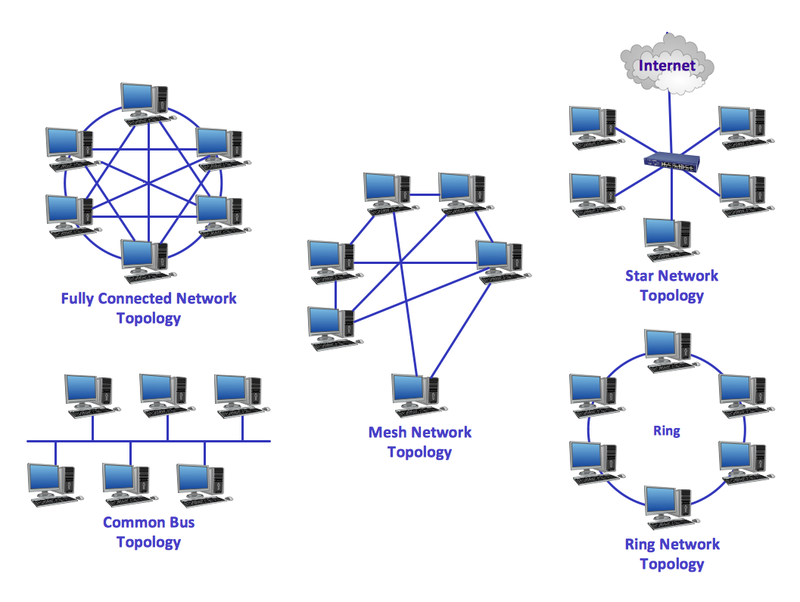 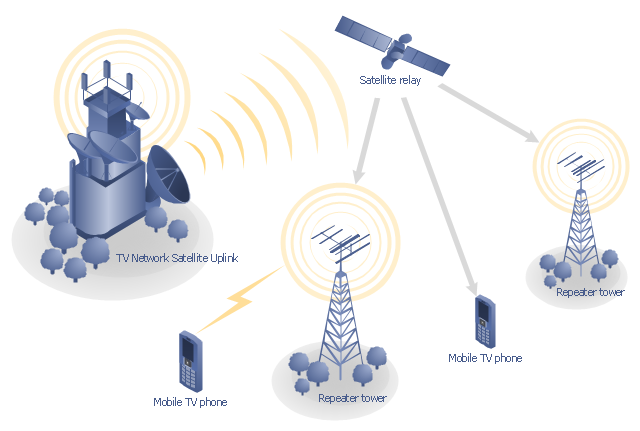 "Cable television is a system of distributing television programs to subscribers via radio frequency (RF) signals transmitted through coaxial cables or light pulses through fiber-optic cables. 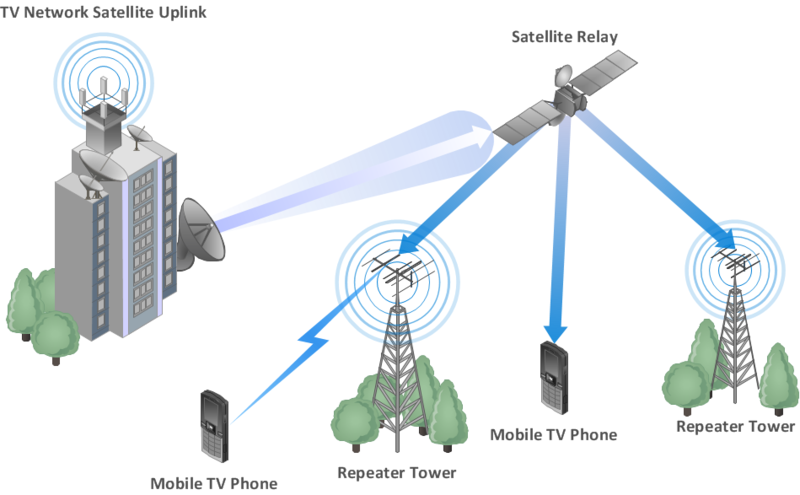 This contrasts with traditional broadcast television (terrestrial television) in which the television signal is transmitted over the air by radio waves and received by a television antenna attached to the television. 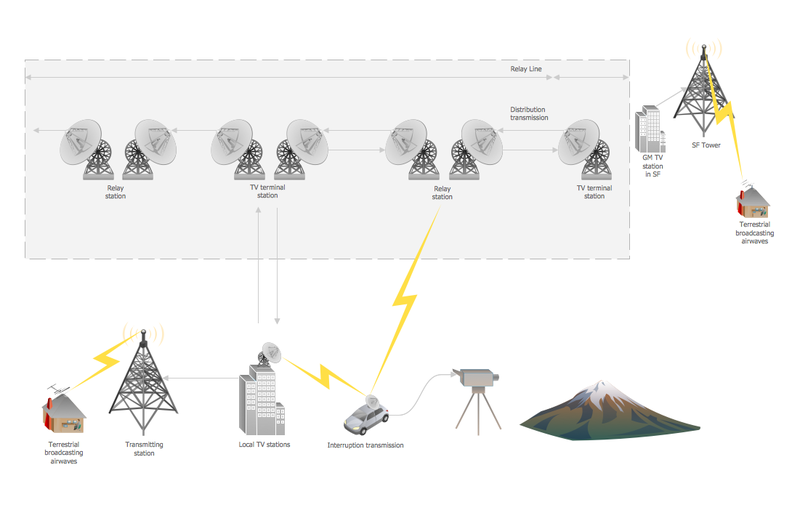 FM radio programming, high-speed Internet, telephone service, and similar non-television services may also be provided through these cables. 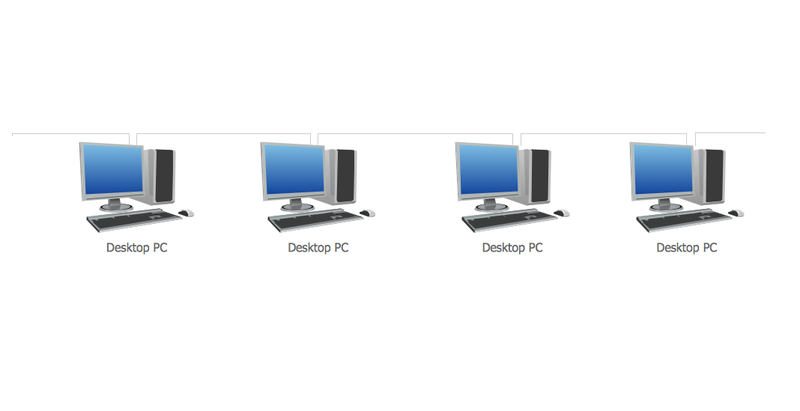 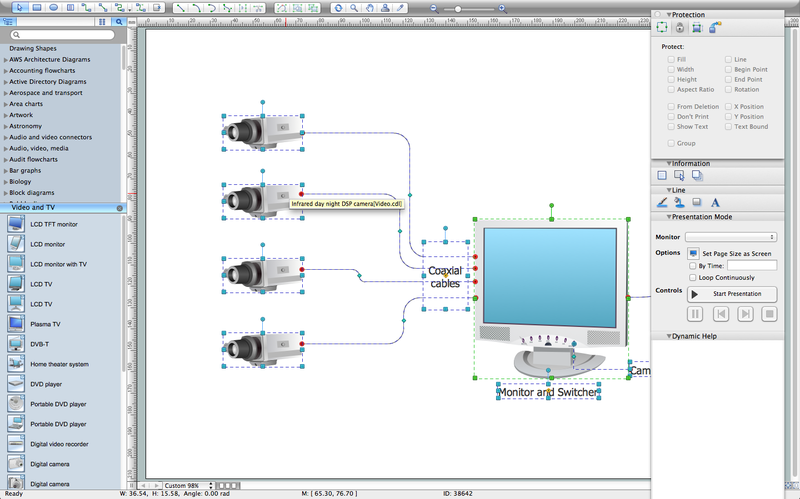 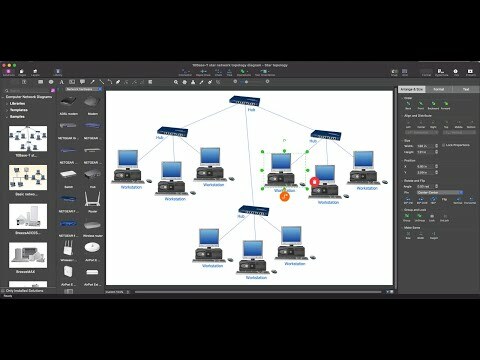 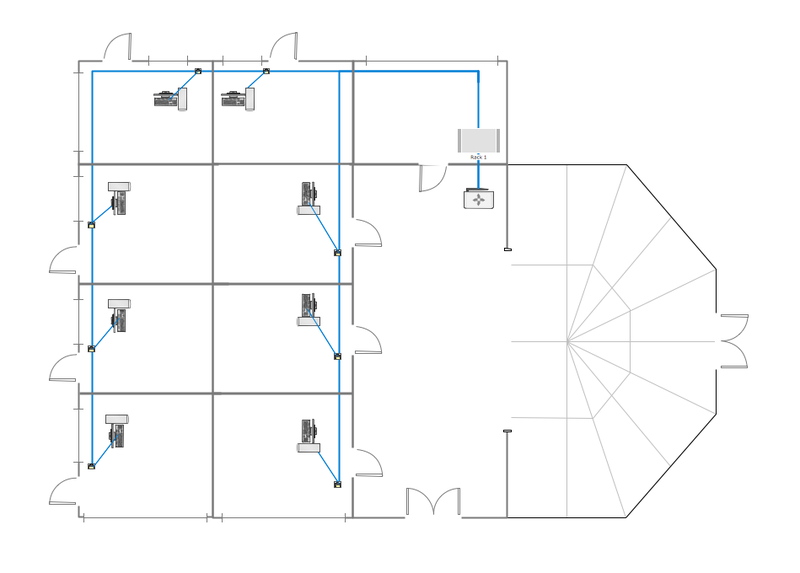 Use the shapes library "Cable TV" to draw CATV system design floor plans, network topology diagrams, wiring diagrams and cabling layout schemes using the ConceptDraw PRO diagramming and vector drawing software.